Using links in WordPress is easy. WordPress allows you to place links anywhere on your site including within your content, sidebar and footer areas to name a few. You can link to other content on your own blog or externally to someone else’s content. In this tutorial, you will learn about WordPress Links, how to Add, Edit and Delete Links in WordPress. Now we will learn to Add Links in WordPress pages. Link is a connection from one resource to another. Adding links to your pages or blog posts help you to connect to other pages. Following are the simple steps to Add links in WordPress. Step 1 − Click on Pages → All Pages in WordPress. 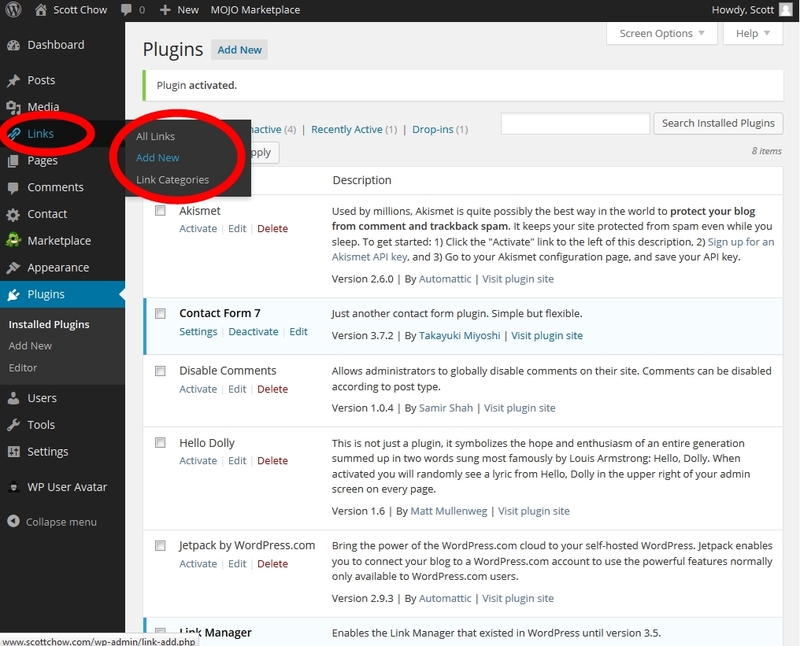 Step 2 − List of pages created in WordPress will get displayed as shown in the following screen. Select any of the pages to add links inside it. Step 3 − Select any of the sentence or word where you want to add link. Step 4 − When you click on the Insert/Edit link symbol then the following pop window gets displayed. Following are the fields present in the Insert/edit link. URL − Enter URL you want to link. Link text − Insert text you want to enter into the link. Open link in a new window/tab − Open your link page into the new tab or window. Check the box as required. Or link to existing account − Add links to an existing content page by selecting the page from the given list. Click on Or link to existing account and the list of pages and posts gets displayed. After selecting the particular page or post from the list, the links get created in the URL field as seen in the preceding screen. Click on Add Link. Click on Update button to update the changes in your page or post. Step 1 − Click on Pages → All Pages. Step 2 − You can view the list of pages. Click on Edit. Step 3 − Click on the pencil symbol to edit the link. Step 4 − You can change or edit your link by selecting the page from the existing list. After selecting the particular page or post from the list, then click on Update button. In Delete Links Option, we will learn to Delete links from WordPress. You can remove the unwanted links which you don’t need for your website or article. Step 2 − You can view the list of pages. Click on the Edit button. Step 3 − Select the word which you had already linked and click on the Remove Link Symbol.